Juan Carlos Gámez Alcaraz, student of the Escola Superior de Disseny de les Illes Balears design school is the creator of the showroom Project which we present today and which is among the finalists of the seventh edition of the Architecture and Interior Design Awards organised by PORCELANOSA Group. 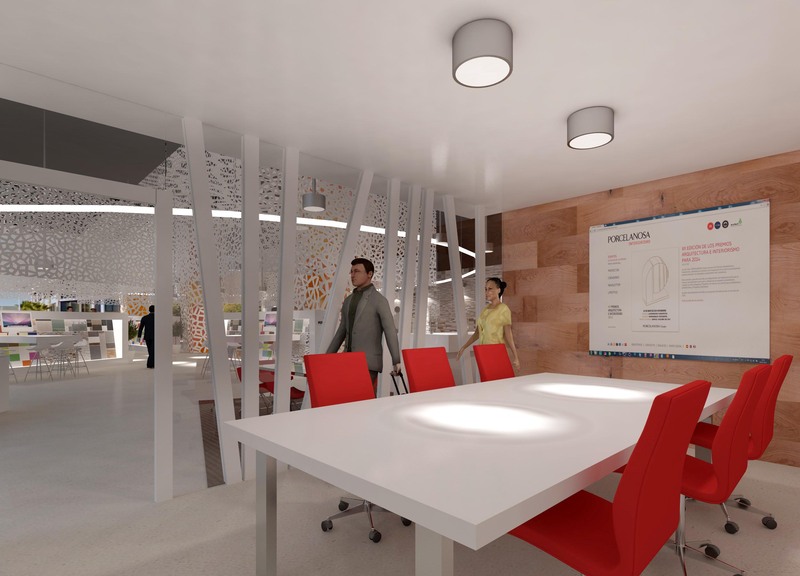 This Interior Design student has designed a building with a circular floor and a glazed facade to take advantage of natural light during the whole day, thus allowing the display to be viewed from the outside, from all sides. 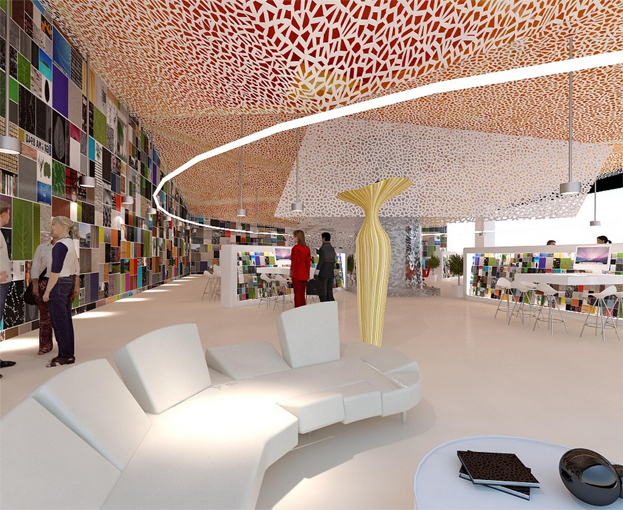 For the design of the interior of the showroom, the designer has chosen Krion® as an element which gives continuity to the whole space. 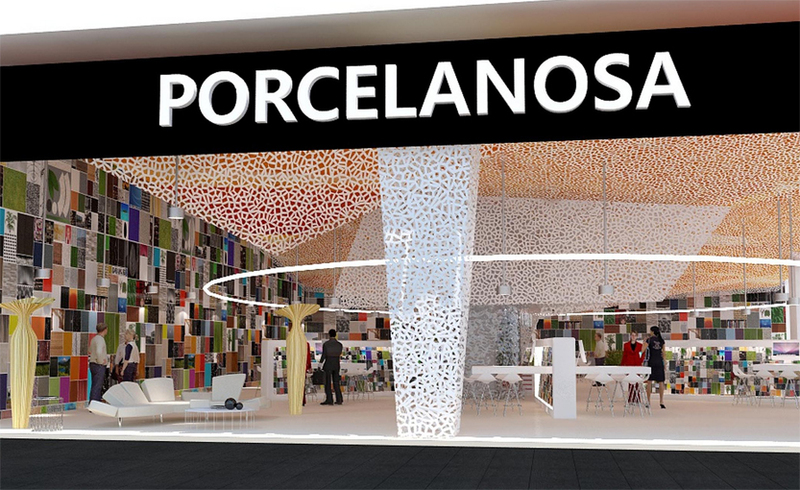 On one side, PORCELANOSA Group’s solid surface has been used as a decorative element, in the form of a perforated lattice with an irregular design, installed in five cubes of large dimensions suspended from the roof in different points of the exhibition. 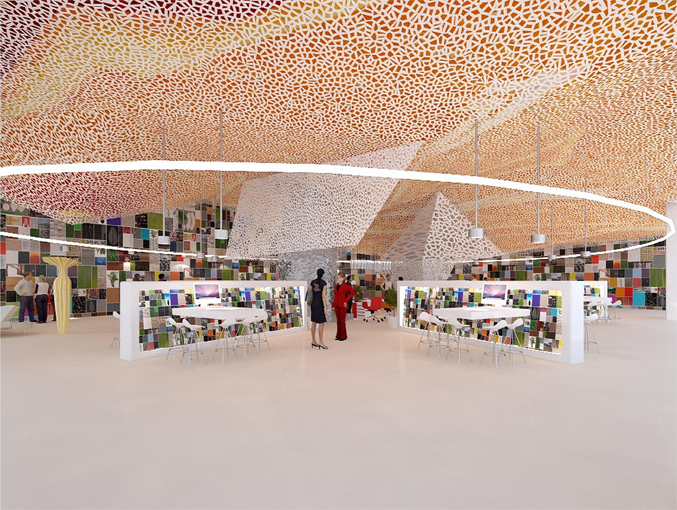 Furthermore, for the central área, Juan Carlos Gámez has designed six display cases, also made from Krion®, to display the products and materials of the Group’s firms. A neon tube marks the route around the oval perimeter, covered with suspended cubes. 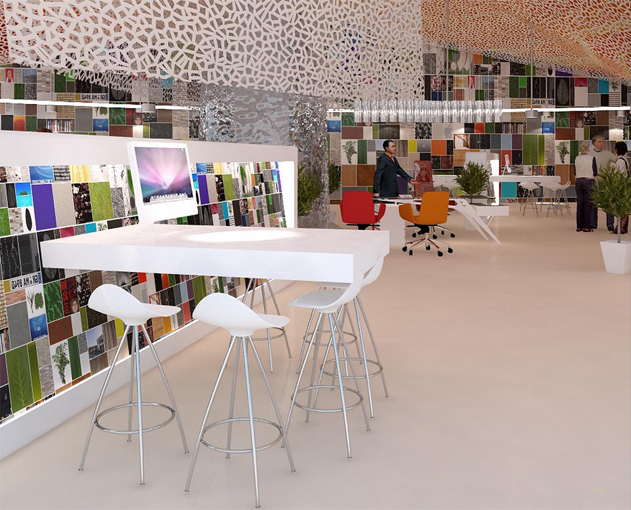 In order to facilitate the work of the professionals, twelve work tables have been included for the creative teams in the central area of the showroom, and four service areas, strategically placed so that the visitor can quickly locate them. 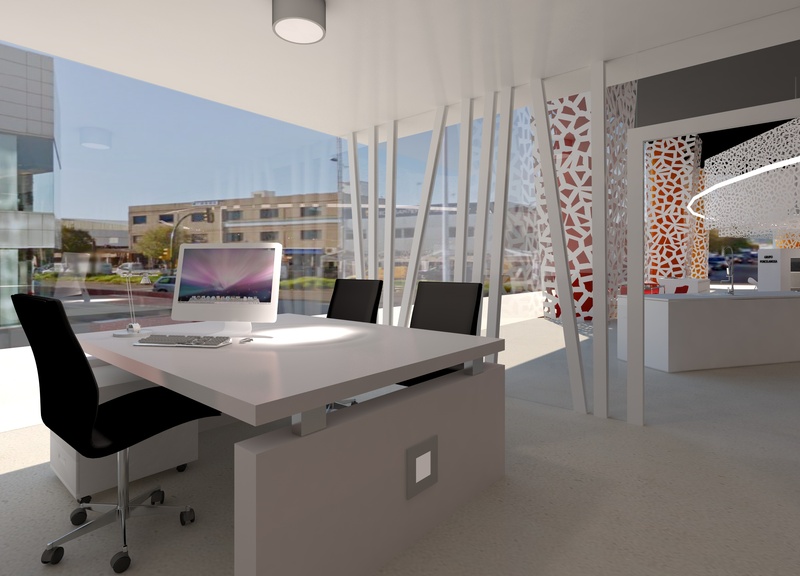 A private meeting room, a management office, a storage area and bathrooms for staff complete the project’s facilities.